Well, Shar, Maddy, and Scott will be mad at me. 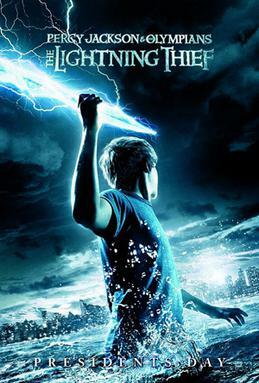 Last night, I went to see the movie Percy Jackson: Sea of Monsters. I tell you one thing, though, not as good as the first movie. ​Anyway, in saying all of that, I bet that given a few years, Percy Jackson could one day surpass Harry Potter in terms of popularity, fans, and even (believe it or not) readership. And be honest with yourself, why would you want to read some story about some silly boy wizard when you could be reading about a demigod. Demigods are cool. Anyway, I’m still kind of bummed over the no fan fiction rule and I’m still fighting against Leslie, so if anything happens, I’ll let you know.